Stephen Beaver was born and raised in London. At the age of sixteen, he started his hair styling career at Vidal Sassoon in Central London. There, he mastered both the classics and precision cutting. During this time, he worked closely with the artistic team and traveled the world showcasing his work. Stephen's talent and perseverance allowed him to work up to the position of Art Director seven years later. In the position he advanced his own signature style. Stephen left his position at Vidal Sassoon in pursuit of his dreams to work in the industry as a Session Hair Stylist. He spent the next four years assisting leading Hair Stylists Sam McKnight and Jimmy Paul for fashion shows in London, Milan, Paris, and New York. Following this, he became a valuable member of Luigi Murenu's team as a core assistant for four years. 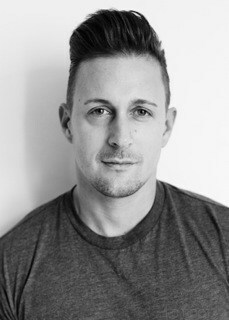 Stephen assisted Luigi for fashion shows across the world, global advertising campaigns, and notable editorial work. During this time Stephen launched his own career as a freelance Session Hair Stylist. Stephen's natural ability to connect with people led to him become an Educator for Kérastase. He teaches and showcases advanced skills by producing couture hairstyles in Masterclasses throughout Europe. Stephen has worked with publications such as Harper's Bazaar, ELLE UK and ELLE Mexico, Essential Homme, Exit, Garage, Glamour, HEROINE, i-D, Interview, InStyle USA, L'Officiel Hellas, Paris, Spain, Ukraine, and Hommes, Muse Magazine, Número Homme, Paper, Porter (Net-A-Porter), PYLOT, Rollacoaster, Tatler, W USA and Korea, Wonderland, Vanity Fair Spain, Vogue USA, UK, Italia, Brazil, Russia, Spain, Mexico, and L’Uomo. Stephen has collaborated with Photographers Alexi Hay, Alex Bramall, Alina Estilismo, Peter Ash Lee, Alice Neale, Arcin Sagdic, Ben Toms, Christian Oita, Daniel Thomas Smith, Emma Hardy, Emma Summerton, Emma Tempest, Federico Sorrentino, Hanns Neumann, Ivakovo Kalaitzakis, James Meakin, Jens Langkjaer, Koto Bolofo, Lado Alexi, Laura Coulson, Marc Hibbert, Nadia Ryder, Peter Ash Lee, Philip Riches, Philippe Kilot, Billie Scheepers, Sarah Blais, Stefan Heinrichs, Thomas Lohr, Toby Knott, Tom Craig, Tung Walsh, and Yvann Fabing. Stephen has worked closely with brands such as Givenchy, Accessorize, Zadig & Voltaire, ASOS, Crew Clothing, Gap, Faustine, Laura Lee Jewelry, Ciroc, Lark and Berry, Kenzo, Liberty, Mary Katranzou, Old Navy and The White Company. Stephen Beaver's celebrity clientele includes Maisie Williams, Jenna Coleman, Sophie Turner and Maria Borges.